Looking for the perfect event location in the Salzburger Land region? Then look no further! 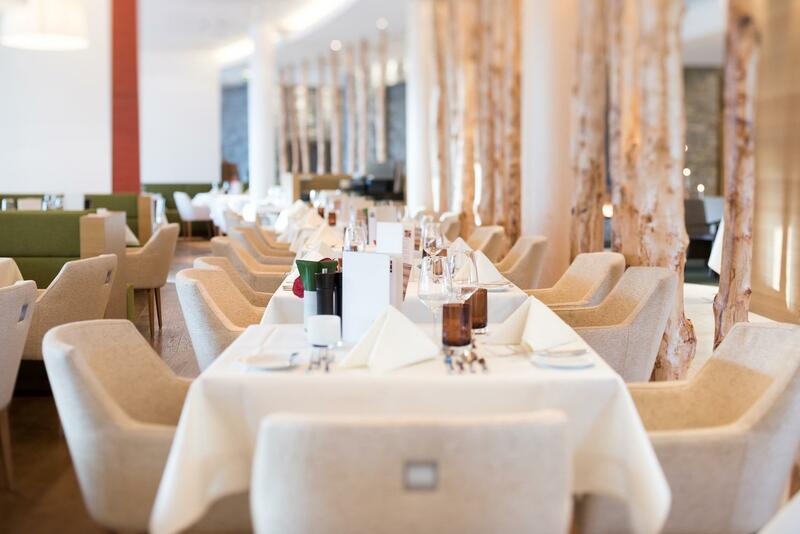 The 4* superior TAUERN SPA resort in Zell am See-Kaprun offers an all-inclusive service to make sure that your event is a resounding success. Here at the TAUERN SPA, we have the perfect setting for your next corporate event! A combination of smooth organisation, peaceful surroundings and eye-catching architecture make our spa resort in Zell am See-Kaprun the ideal backdrop for a company get-together. 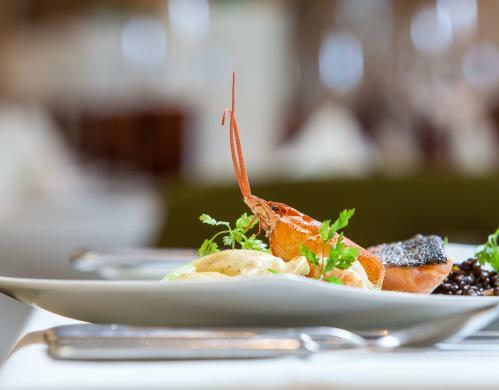 Our professional team of event organisers will support you with the planning of your event, while our head chef Christof Schernthaner will be happy to help you put together a made-to-measure menu accompanied by a selection of wines from our cellar. healthy and hearty breakfast buffet. Did you know? For meetings, congresses, incentives and events of all kinds, the 4 * S Resort can also be booked exclusively (on subject to availability). Please note that a certain lead time is required and an exclusive booking is only possible on request. We would be very happy to be able to host your desired event in our TAUERN SPA Zell am See - Kaprun soon. Christmas parties are a great opportunity to get together and celebrate. Here at the TAUERN SPA in Zell am See-Kaprun we will be happy to organise an unforgettable party for you and your staff in a romantic setting in the Alps. taxi / transfer within a radius of 20km. Celebrate the most beautiful days of your life with us at the TAUERN SPA in Zell am See - Kaprun. Our team of event organisers will assist you in planning you dream wedding – depending on your needs and desires. Starting from your wedding reception until the big moment itself, we would love to assist you in creating unique memories and we make sure that everything goes smoothly and all you have to worry about is having fun. Our 4*S resort offers the perfect setting for a memorable wedding proposal. 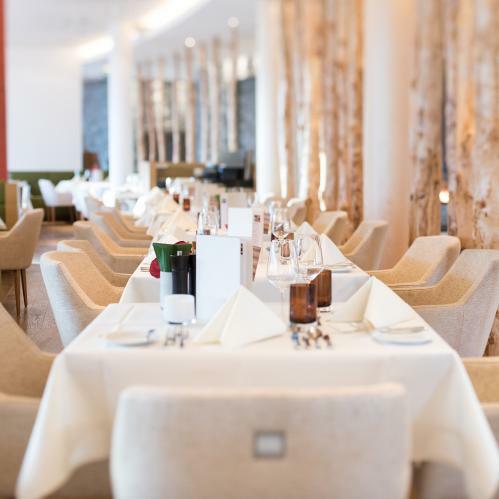 Whether you prefer a romantic room with candles and roses as, the charming hotel terrace with the beautiful surrounding in moonlight setting or an unforgettable candlelight dinner in our astonishing Hotel Panorama SPA – the TAUERN SPA highlight itself. Truly unforgettable experiences. Moreover, the TAUERN SPA is the ideal place to celebrate your dream weeding with all your beloved ones. Our spacious banquet rooms offer spectacular views of the surrounding mountains and the glacier Kitzsteinhorn. Each room is fitted with modern lighting and sound equipment as well as a wooden floor. At the TAUERN SPA we have space for wedding parties of up to 140 people. Get in touch today to start planning a great day. Benefit from our modern and flexible event location in the heart of the Salzburger Land and enjoy a perfect corporate event, Christmas party or wedding reception!